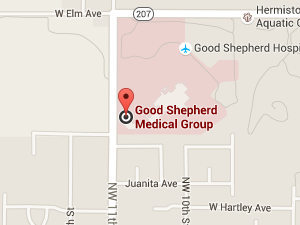 Licensed respiratory therapists are on staff around the clock at Good Shepherd Medical Center. They perform a variety of duties such as arterial blood sampling, electrocardiography (EKG), cardiac stress testing, and electroencephalography (EEF). We are part of the team that does c-sections and responds to all respiratory and cardiac emergencies. The Physical Therapy department at Good Shepherd is open 8am to 5pm Monday through Thursday, 8am to 3pm on Fridays, and offers a large variety of therapies to the 80 to 100 community members we treat each day. A wide array of state-of-the-art workout tools and other physical therapy equipment is available to address virtually every part of the body. The department’s crown jewel is a $75,000 hydrotherapy pool. Occupational therapy is a health and rehabilitation profession that helps individuals achieve independence in their lives despite disabilities. Occupational therapy addresses people of all ages who, because of physical, developmental, social, or emotional problems, need specialized assistance to lead productive and satisfying lives. Occupational therapy provides assessment and treatment in rehabilitation needs of self care, functional mobility, home management, vocational and leisure activities, and educational activities. Occupational therapy assists people in mastering the “skills for the job of living” after illness, injury or disability. Services are offered on an in-patient, out-patient or home health basis following referral from a physician. A Licensed Speech/Language Pathologist, who also holds Clinical Competency Certification from the American Speech-Language-Hearing Association, provides evaluation and treatment in communication areas related to speech, language, oral sensory/motor function, word recall, cognition, voice, and hearing loss. The Department also provides evaluation and treatment of swallowing disorders, including safe swallow techniques, safe texture management, and teaching of compensatory skills. Infants and children can receive speech therapy services for delayed speech and language development or swallowing difficulties, and as a supplement to services received in the school district. Adults can repair neurological damage from a head injury or stroke, improving their ability to express ideas and needs. Evaluation appointments can be made on a referral from a physician.